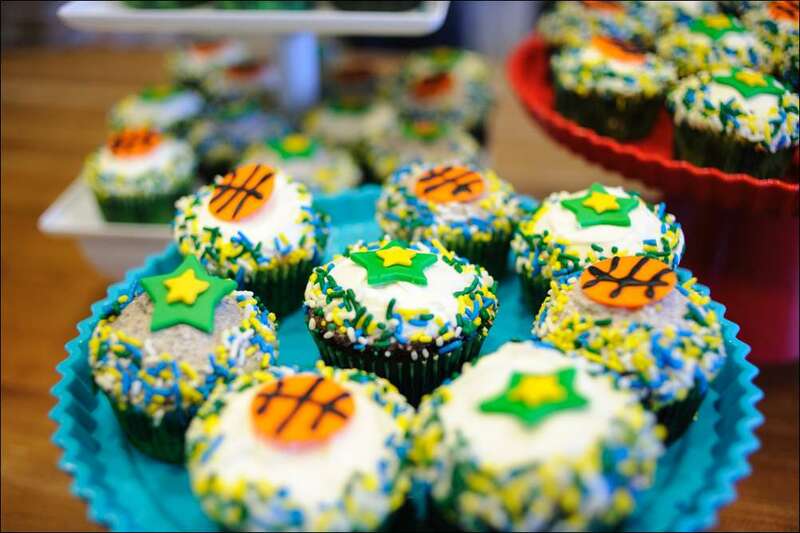 It’s that time of year again….March Madness is almost here! 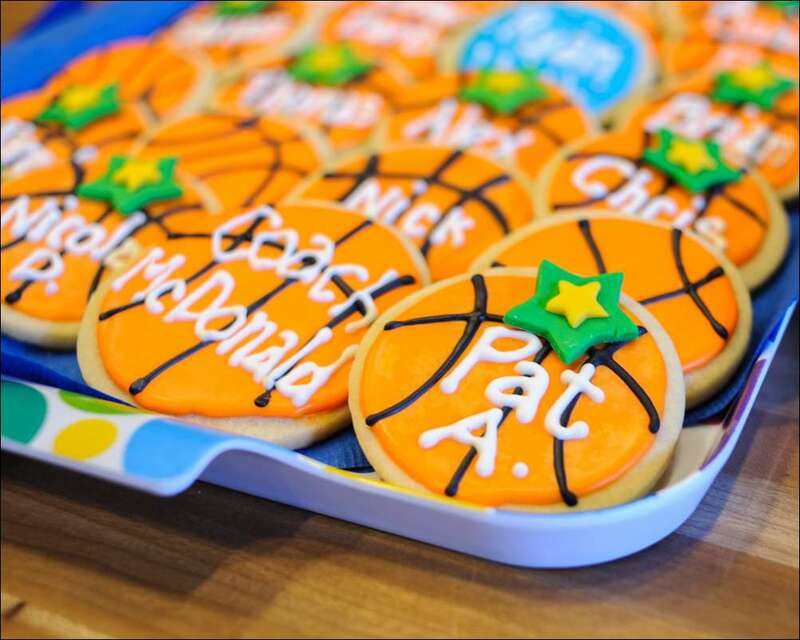 And here’s a rundown of the cookies, cupcakes and cake I’ve done for my son’s end-of-season parties the past few years. 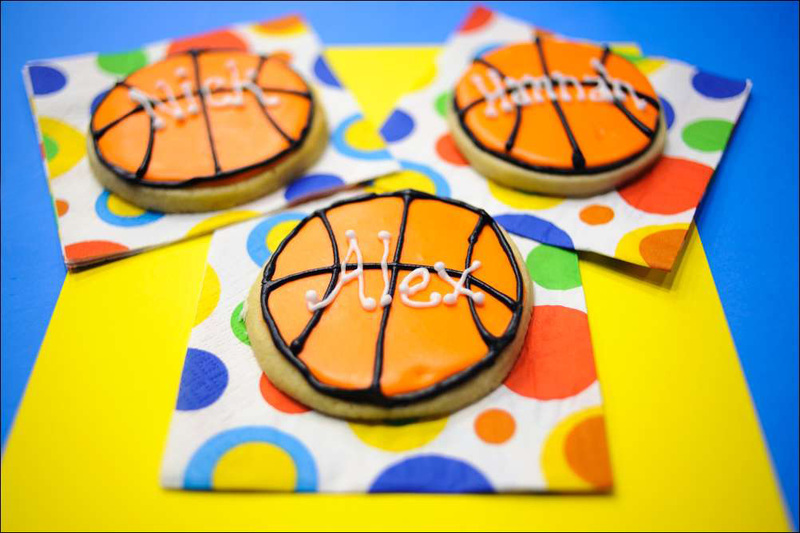 These personalized basketball cookies were fun and the boys loved finding the cookie with their name. 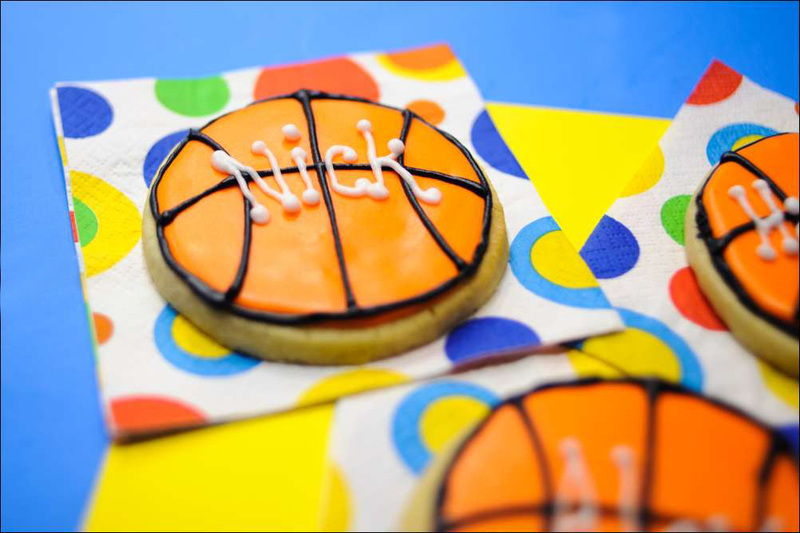 (One boy in the class was a champion swimmer, so I made a special swimming cookie for him.) 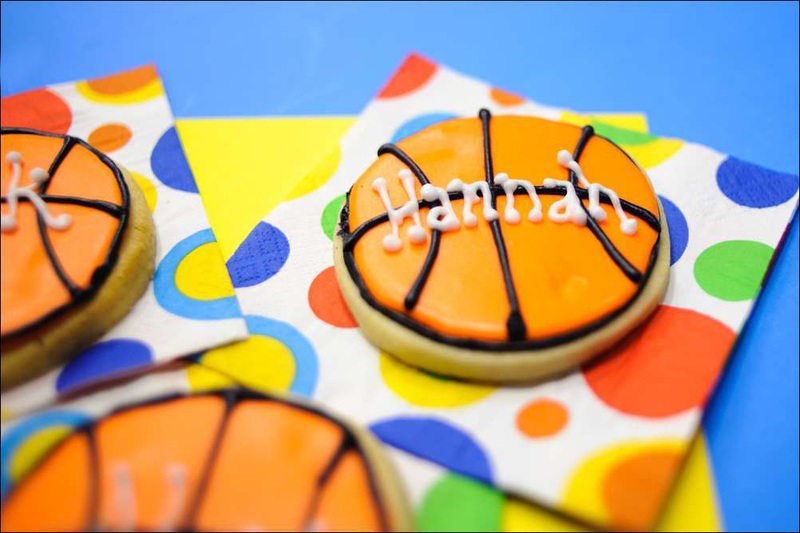 They were simple round cutout sugar cookies with orange royal icing and black lines to make them look like basketballs. 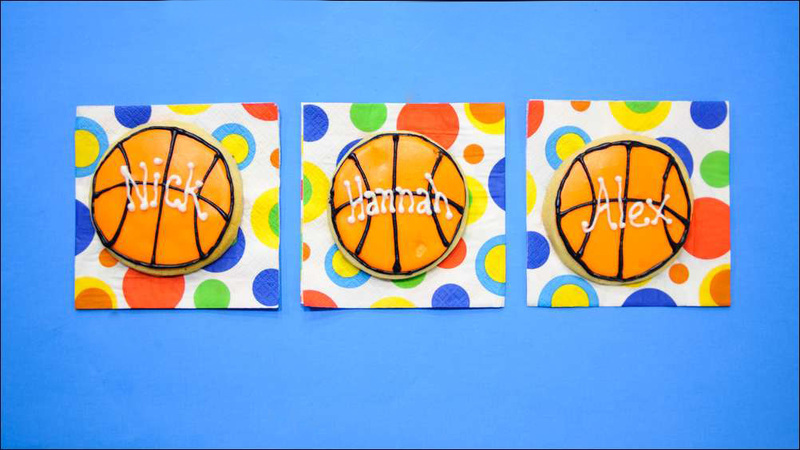 The names were piped with white Royal icing. 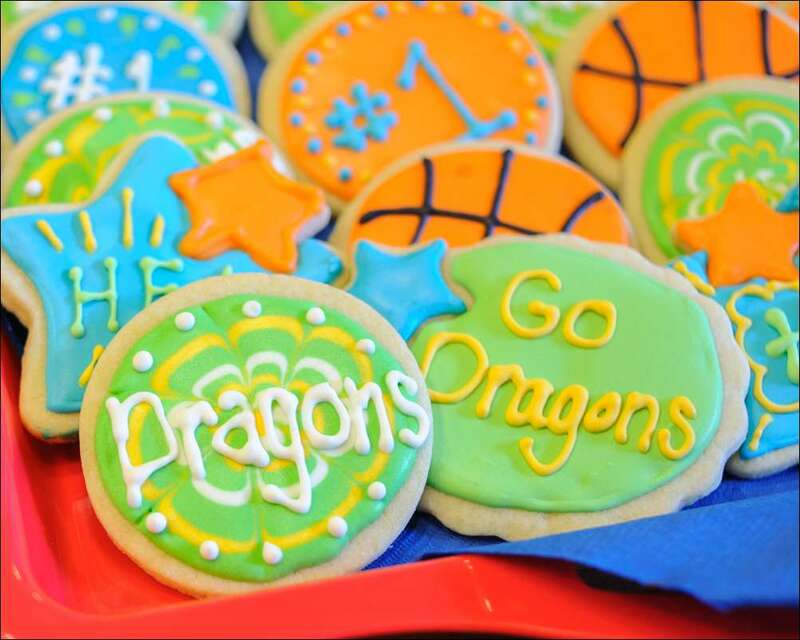 The rest of the cookies were decorated with the team mascot name (“Dragons”) and colors (green and yellow). The cupcakes are a mix of chocolate and vanilla cake with an Oreo cookie baked inside each one. Some were frosted with vanilla buttercream, others with cookies and cream buttercream (vanilla buttercream with crushed cookies mixed in). 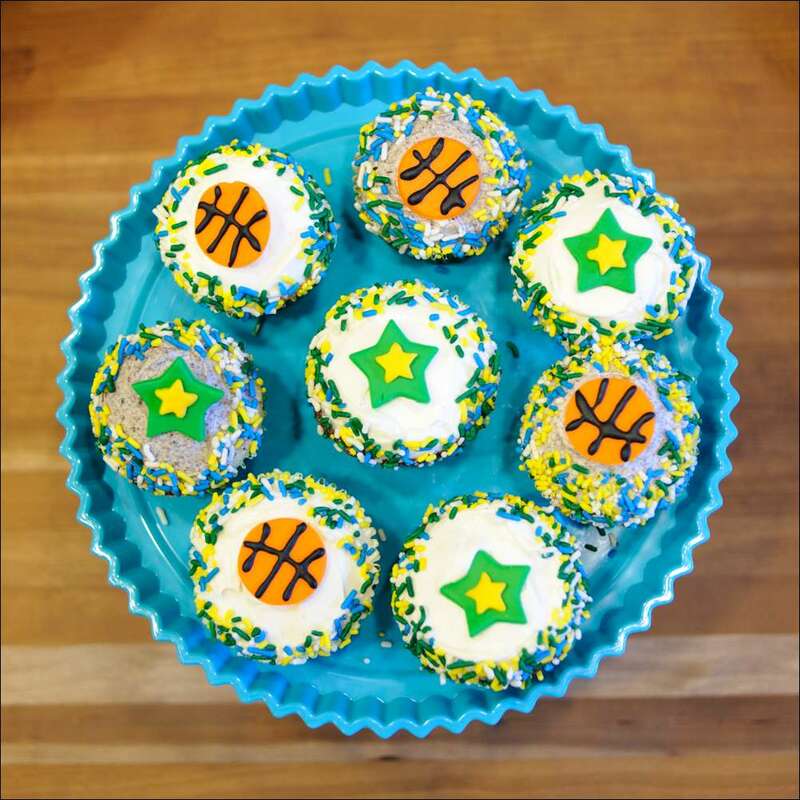 The team colors were green and yellow, so I used colored sprinkles around the edges and topped them with fondant basketballs and stars. They were sure easier to serve than a cake and the kids loved them! 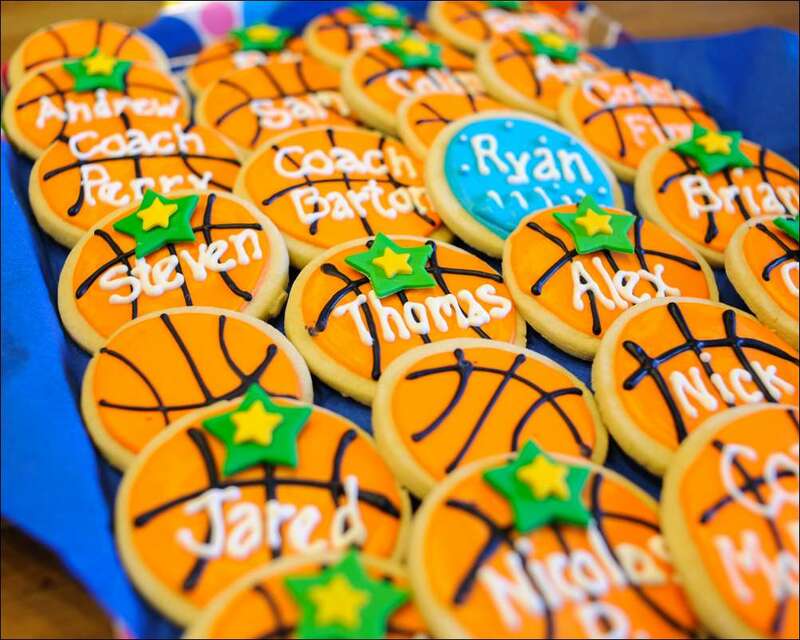 This cake I made last year…the boys wanted a basketball court and players this time. It’s a 2-layer chocolate/vanilla half-sheet cake (big) covered in vanilla buttercream. 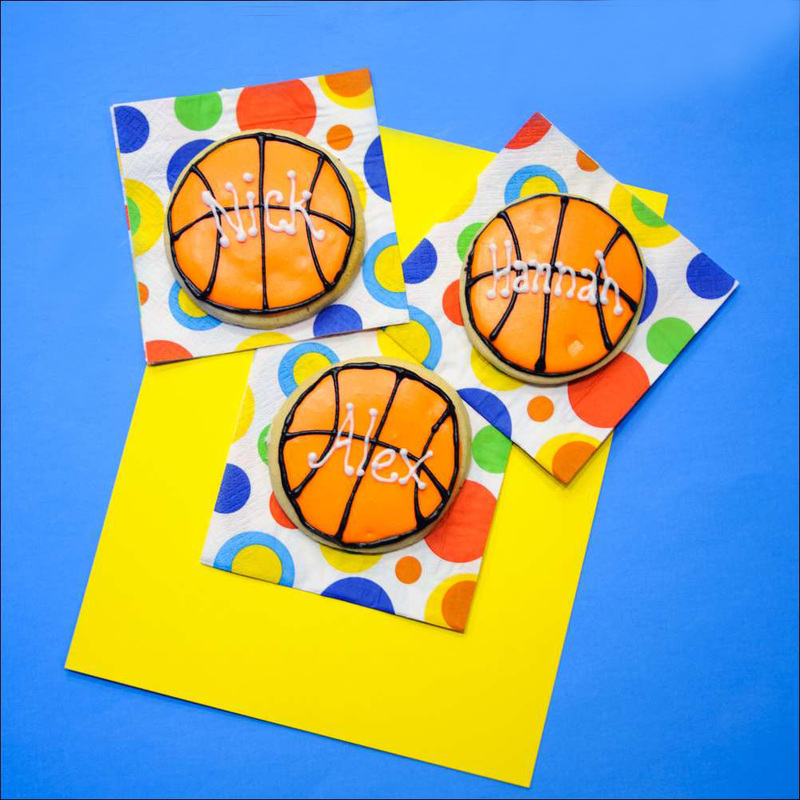 The court, letters, and stars are cut from homemade marshmallow fondant. I scored the court with a pizza cutter to look like boards and brushed on a thin coat of diluted brown food color to make it look like wood. The players/hoop set I ordered from Amazon. I made each star with a different player’s number. Although we didn’t win many games, we had a great season and the kids had a ball (no pun intended :0). Here’s to another great season and wrap up party! 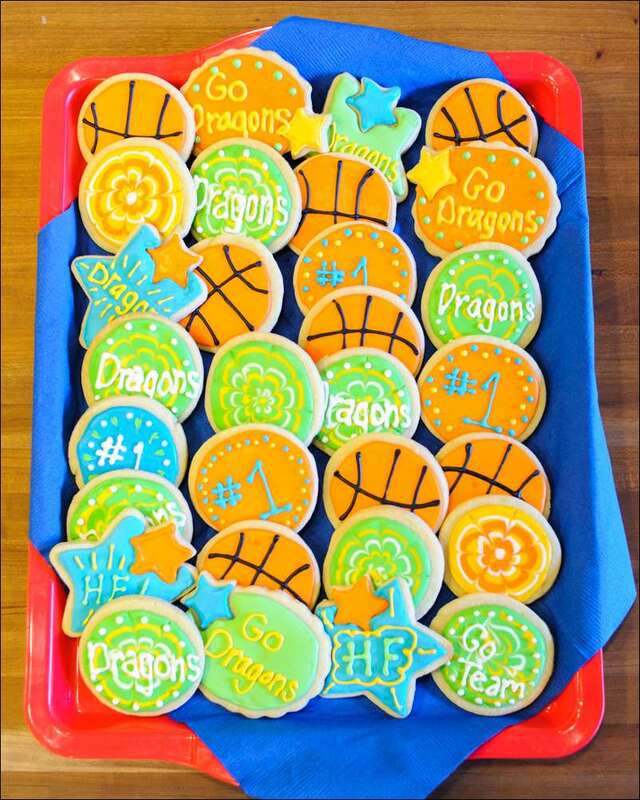 Go Dragons! !